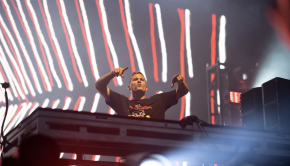 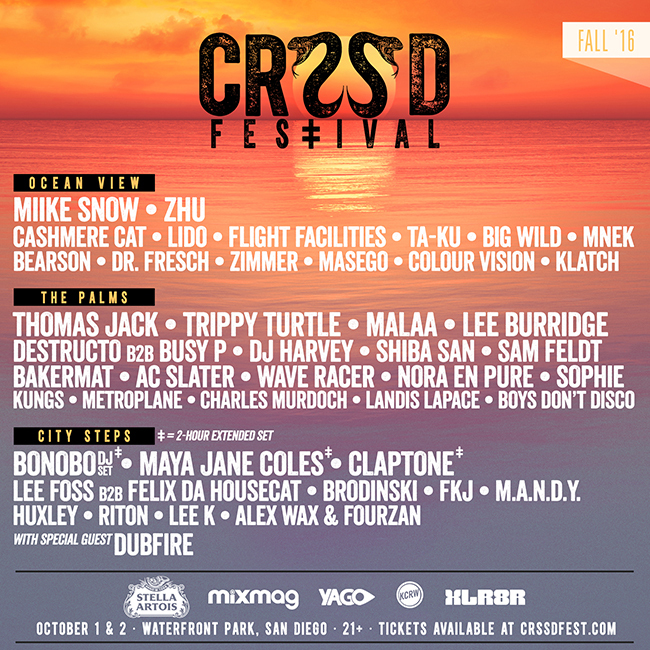 CRSSD Festival has revealed the lineup for its Fall 2016 edition. 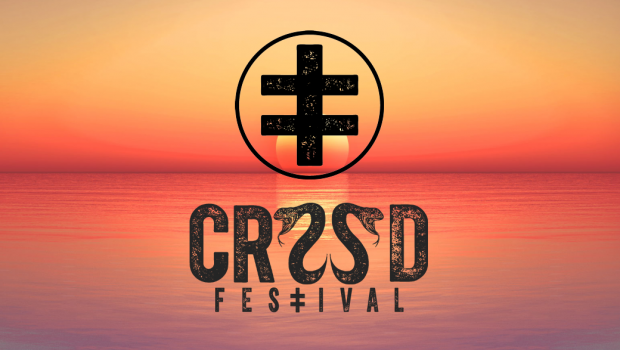 Set on the bay in San Diego’s idyllic Waterfront Park, CRSSD will return October 1 and 2 with a myriad of live and DJ talent from some of music’s most innovative artists. 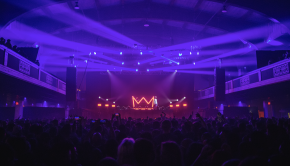 CRSSD’s Fall edition will see performances from standout live acts Miike Snow, ZHU, Cashmere Cat, Lido, Flight Facilities and Ta-Ku. 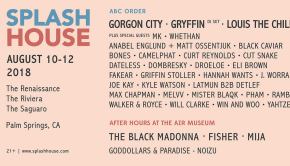 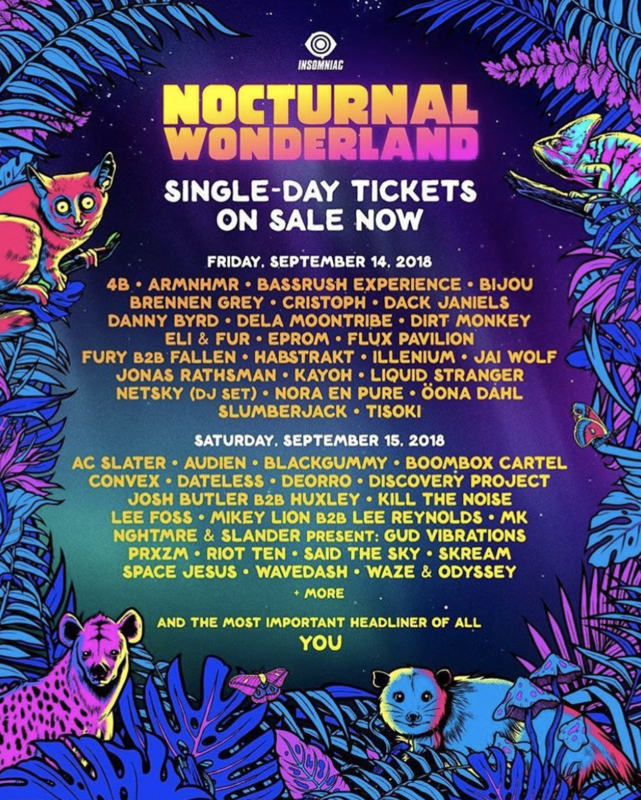 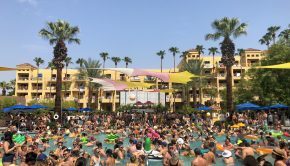 CRSSD also hosts the very best underground house and techno DJs and Fall will welcome the likes of Bonobo, Maya Jane Coles, Dubfire, Lee Burridge, M.A.N.D.Y., DJ Harvey, Lee Foss, Felix Da Housecat, Busy P, Huxley, and more.